The Swiss Ramble: Where Does Stoke City's Money Come From? At last the 2010 summer transfer window is over and we can concentrate on watching some football instead of the frenetic efforts of Sky Sports presenters desperately trying to discover some exciting news on deadline day. In reality, it was all a bit of a let down with transfer spend over 25% lower than last year. A variety of reasons have been put forward to explain this drop: the effect of the economic downturn; clubs trying to sort themselves out before UEFA’s Financial Fair Play Regulations begin to bite; and the introduction of restrictions on squad size. Despite all these factors, clubs have obviously still spent some money on transfers, ably led by the usual suspects, namely Manchester City (a long way ahead of the rest with net spend of around £100 million) and Chelsea (mainly due to the purchase of Brazilian midfielder Ramires). Harry Redknapp took time out from his football management to do a bit of last minute wheeler dealing to ensure that Spurs remained high in the spending charts, while Birmingham continued to run through Carson Yeung’s millions, but who’s next on the list? You would probably be surprised if I told you that it was unfashionable Stoke City, but it’s true. Although their net spend of £15 million is not particularly high, it’s still more than the likes of Manchester United, Arsenal and Liverpool. This is no flash in the pan either, as Stoke have consistently been among the top spenders since their return to the Premier League a couple of years ago (£30 million in 2008 and another £18 million in 2009). OK, it’s perfectly understandable that a team newly promoted from the Championship need to splash the cash in order to be competitive, but where on earth do they get their money? Although Stoke is a club with a lot of history, having been one of the 12 founding members of the Football League way back in 1888, they had fallen on hard times a few years ago. Before their recent promotion, the last time they participated in the top flight was in 1985, when they were relegated with the embarrassingly low total of 17 points. This was a far cry from the glory days of “The Wizard of the Dribble”, Sir Stanley Matthews, a true legend of the game. Recent vintages have not been so fine, but Stoke did enjoy some success under long-serving manager Tony Waddington in the early 70s, winning the League Cup in 1972 and finishing just four points behind First Division champions Derby County in 1975. And let’s not forget that Stoke also provided England with two of its greatest goalkeepers in the form of World Cup winner Gordon Banks and most capped player Peter Shilton. However, for most fans, those days are in the distant past, so it makes you wonder how they have managed to claw their way back to the upper echelons and specifically who has provided the funds enabling Stoke’s rise. 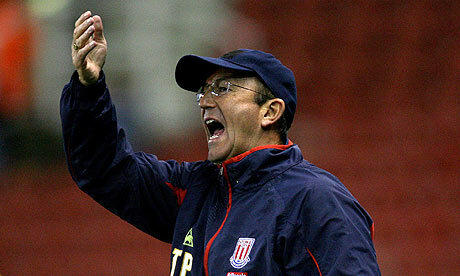 "Coates points the way forward to Pulis"
Step forward, Peter Coates. A miner’s son, Coates is the sort of English hometown man made good that was supposed to be a dying breed among owners of Premier League football clubs. Actually, Stoke’s chairman has made not just one, but two fortunes, first from stadium catering in the north of England, then from the online gambling giant bet365. The success of his internet betting firm has propelled Coates up to 128th place in the Sunday Times Rich List and is the source of the major investment in Stoke City. In fact, this is Coates’ second bite of the cherry, as he was also chairman of Stoke until 1997, when he stepped down from the position due to fan protests following some poor performances by the team. He remained the club’s majority shareholder before selling his stake to an Icelandic consortium two years later, though he controversially retained a “golden share” with special voting rights. However, Stoke’s fans were reminded of the old dictum, “Be careful what you wish for”, as the Icelandic reign was an unmitigated disaster, and they were relieved to see Coates taking back control in 2006. The old/new chairman wasted no time in bringing back former manager Tony Pulis to drive the team forward and make sure that his cash was well spent. The talismanic Welshman did such a good job that the team was promoted to the giddy heights of the Premier League just two years later. "We are going up, say we are going up"
As the club’s latest accounts admit, Stoke City “could not have achieved our recent success without huge investment.” Although Coates only paid £1.7 million to buy a majority stake, this allowed him to invest another £8.3 million directly into the club, giving a total of £10 million spent. Around £3.3 million was used to repay Icelandic loans with the former owners writing-off their other debts. That left the remaining £5 million to fund future working capital requirements or, in plain English, cover losses. Since then, Coates has also had to pay an additional £2 million that was contingent on Stoke reaching the Premier League within three years, so the total “purchase” price effectively amounted to £12 million. Without this investment, the stark alternative for Stoke would have been “to raise money through significant player sales and dramatically cut the player wage bill in order to bring expenses into line with income.” Nothing’s impossible, but let’s just agree that this option would have made promotion to the Premier League extremely difficult. Instead, money has been poured into both the club’s playing side and many infrastructure improvements. Not only have Stoke City bought their Britannia Stadium outright and spent considerable sums on refurbishing it, but they have also committed £7 million to a new training complex at Clayton Wood. The club has clearly come a long way since the dark days before Coates’ return when the “debt had risen to approximately £9 million and the company was technically insolvent.” The auditors at that time even felt compelled to emphasise that the club’s ability to continue as a going concern was reliant on the financial support of its holding company, which was described as a “significant uncertainty”. That’s absolutely right, as the club’s progress has been funded via interest-free loans from the chairman’s pocket. 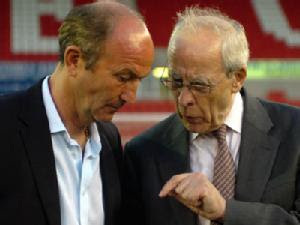 As at the last year-end (31 May 2009), Stoke City owed £17 million to its parent company. Stoke City Holdings Limited, which is to all intents and purposes the Coates family. However, the accounts then noted that this debt had “risen considerably” to £24 million, following the summer 2009 and January 2010 transfer windows. Not to worry, as the Coates family have since converted these loans into capital in order to “put the club in a strong financial position, leaving the club unencumbered by debt.” This is not their first act of kindness, as the £8.3 million loan used for the 2006 investment was also converted into shares in the same way. There’s no doubt that Stoke fans owe Peter Coates and his family a great deal. Since his return, they have invested nearly £40 million into the club: £3.7 million to complete the purchase followed by £32.3 million of loans, which they subsequently wiped clear by converting them into equity. Without this investment, the club would not just have struggled, but would have been in serious trouble. "One of Kitson's rare goals"
This policy of deliberately over-spending could have ended in tears, as it has done with so many clubs, especially as the 2008 loss would have been even higher without £2.3m profit from exceptional items (release of impairment provision and income from group undertakings). In fact, if the profit on player sales had been at the usual levels of around £1 million and these exceptionals had been excluded, the 2008 loss would have been nearly £10 million. 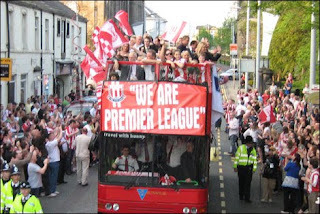 Of course, this is all hypothetical and in reality the strategy did achieve its objective, as Stoke City secured their promotion to the Premier League (and all its riches) on 4 May 2008 after a goalless draw at home to Leicester City. This lead to the club’s revenue and expenses growing in dramatic fashion the following year, which reflected the reality of playing in the big boys’ league. In particular, staff costs virtually tripled from £14.4 million to £40.1 million. 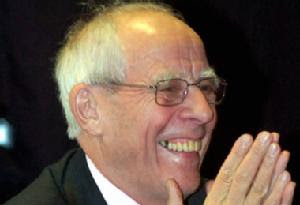 As Peter Coates drily explained, “The club has invested heavily to put together a team capable of being competitive in the Premier League, but this has come at a heavy cost in respect of the high initial player cost and the consequential ongoing wage bill.” That has translated into wages rising from £11.9 million to £29.7 million and player amortisation surging from £2.5 million to £10.4 million. Funnily enough, the wages to turnover ratio has actually fallen to a respectable 56%, thanks to the much higher revenue in the Premier League. This was much better than the last Championship season, when this important ratio had soared to an unsustainable 106% as part of the push for promotion. All I can say is that it is just as well that Stoke managed to escape from the Championship. In fairness, even though Stoke’s wage bill massively increased, they are still one of the lowest spenders in the Premier League. 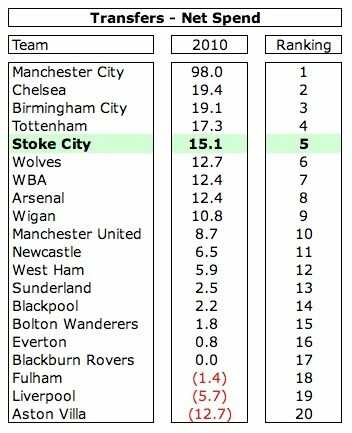 Only three teams had a smaller payroll in 2009, which means that Stoke significantly outperformed their expected league position based on wages when they finished 12th. To place their wage bill of £30 million into context, teams like Blackburn and Fulham pay 50% more, while Aston Villa and West Ham pay twice as much. The most extreme comparison takes place when Stoke play Chelsea, as their opponents receive five times as much in salaries. Similarly, the major increase in player amortisation to £10 million has still left Stoke far behind most of their Premier League rivals, who are still “paying” for the transfer excesses of previous years. As you no doubt recall, when a player is bought, the cost is capitalised as an intangible fixed asset and amortised over the length of his contract. This means that the costs of buying a player are not fully reflected in the books in the year of purchase, but over time the amortisation costs can have a real impact on the profit and loss account, e.g. Chelsea’s annual amortisation is nearly £50 million. The significant increase in costs begs the question of whether promotion was actually worth all that effort and investment? 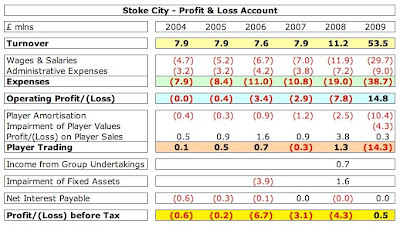 Leaving aside the obvious delights of playing in the “best league in the world”, from a financial perspective, the answer has to be resoundingly in the affirmative, as Stoke’s revenue has rocketed five-fold to £54 million within the space of a year. When you see the size of the prize, it becomes easier to understand why clubs speculate to accumulate. When Coates returned to Stoke in 2006, he said that “the club needs to significantly improve its revenue streams”. 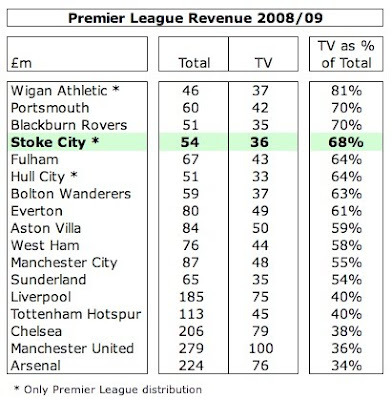 Although there was some growth in 2008, Stoke’s revenue basically remained flat for many years and only took off after promotion, when they benefited from the Premier League’s enormous TV money. 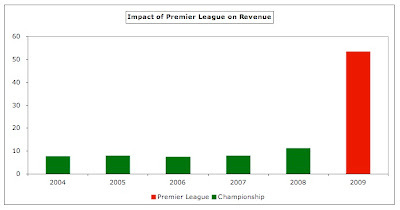 Stoke do not break-down the revenue figure in their accounts, but analysis of the Premier League central distribution payments reveal that they received £36.3 million TV money in 2008/09 and this is clearly what has driven their gargantuan revenue growth. Good stuff, but it does mean that an extremely high proportion (over two-thirds) of the club’s revenue comes from television, which was only behind Wigan, Portsmouth and Blackburn in terms of Premier League clubs. Even though Stoke’s TV income is nowhere near as much as the leading clubs earn, mainly due to the money those teams receive from the Champions League, it is clear that they are inordinately dependent on this revenue stream. Nevertheless, Stoke’s payment from the Premier League for 2010 will be £3 million higher at £39 million, partly because of the higher league position, and they can anticipate £10 million on top of that for the following season, as the new three-year collective deal for 2010-13 is worth about a third more than the previous one, due to the hefty rise in overseas rights. This is great news for Stoke (and others), but it’s a dangerous game to rely on a business model that puts all its eggs in one basket, especially if any future growth in TV money merely ends up in the players’ bank accounts. Up until last year, the largest element of Stoke’s revenue almost certainly came from gate receipts, as with most teams outside the Premier League. Again, match day income is not separated in the accounts, though the chairman’s report in 2004 and 2005 gave a figure of £3.1 million. Local press reports suggested that each home game in the first season in the Premier League generated around £500,000, which would imply annual revenue of just over £10 million (adding in a couple of Cup games). Although that’s quite high growth, it does seem reasonable over four years, especially when we consider that after promotion there was a substantial increase in average attendance from just under 17,000 to nearly 27,000, the second highest in 45 years. As the capacity of the Britannia Stadium is just over 28,000, a high proportion of games are sold-out, contributing to the intimidating atmosphere at the ground. Importantly for the club’s cash flow, an impressive 20,500 season tickets were sold for the 2009/10 campaign, helped by the club freezing ticket prices for two years in succession. That is undoubtedly true, as it gives the club security and facilitates any expansion plans. For example, the stadium currently has three open corners, which could each be filled in, adding 2,500 seats at a cost of £3 million apiece. However, they appear to be in no hurry to do this, as it is by no means guaranteed that they would be able to sell all those extra seats, which might compromise the vibrant atmosphere that undoubtedly provides an advantage to the home team. Potentially, they could also generate higher levels of turnover via more corporate hospitality, new ticket pricing strategies and improved catering and retail facilities. So, if Stoke’s total revenue was £53.5 million and TV revenue was £37 million (Premier League distribution of £36.3 million plus a little bit more for Cup competitions) and match day revenue £10 million, by a simple process of subtraction, we can work out that commercial revenue must be of the order of £6-7 million. This looks pretty feeble to be honest, when you consider that even a club like Blackburn Rovers earns £9 million, but it makes sense when you see that Britannia’s shirt sponsorship is worth only £1 million a year. Stoke have a long-standing relationship with Britannia with the recent four-year extension taking the partnership to 16 years, including shirt sponsorship, stadium naming rights and a deal whereby the building society pays a bonus based on the number of fans opening Stoke City Save and Support accounts. Although performance-related clauses in the agreement meant that Britannia doubled the shirt sponsorship after the team was promoted to the Premier League, it may be worth the club exploring other options when the deal expires, given that FxPro have just agreed to pay Aston Villa and Fulham £4-5 million a season for the privilege of putting their name on those clubs’ shirts. In contrast, Stoke have changed kit supplier this year, replacing Le Coq Sportif with Adidas in a new four-year contract. Although this move has not proved universally popular, as the new home shirt has done away with the traditional red and white stripes on the back, the club is still hoping to match last season’s record 40,000 replica shirt sales, which was much higher than the 15,000 sold in the Championship. As we have seen, everything’s on a different scale in the Premier League. Having said that, when the club spoke about seeking to “maximise the commercial opportunities that come with Premier League status”, I was expecting a little more than staging The Greatest Ever Luncheon for Muhammad Ali (even though the man is a hero of mine) and hosting the start of the Tour of Britain cycle race. So, given the colossal importance of the television money to Stoke’s finances, it is hardly surprising that the club’s “objective, above all others, is to retain our Premier League status.” As Tony Pulis added, “We’re desperately trying to stay in this league for the next three years for the benefits of the Sky TV money and everything that comes with it.” From that perspective, Pulis is the ideal manager, as he’s never suffered relegation in his 18 years of management with assorted clubs, and he’s maintained that tradition with Stoke, finishing 12th and 11th in the last two seasons. His team have picked up a fair few critics en route for their uncompromising, no-nonsense style of play, but in a way you can understand this approach, when the priority is so obviously survival and the club’s resources are relatively limited. Their methods might not win them many friends outside the Potteries, but so long as they win points the team’s own fans will be more than happy. In fact, you get the feeling that they relish being the underdogs, which is helped by many of the players being given a second chance after failing at other clubs. 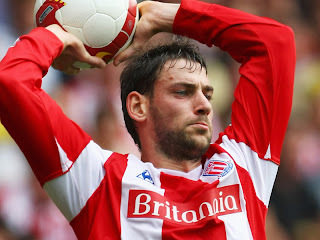 "Delap throwing down the gauntlet"
This attitude is greatly helped by possibly the loudest fans in the country, who have turned the Britannia into a fortress. Indeed, when the club was promoted, they sacrificed 500 seats by dividing the South Stand, so that the home capacity could be increased by 1,500 and yet more voices could belt out “Delilah”, the anthem adopted by Stoke fans in times of despair and now sung in celebration. But would relegation really be so calamitous after the increase in the parachute payments paid to clubs dropping out of the Premier League? Well, it’s true that they have risen to £48 million (£16 million in each of the first two years, £8 million in each of years three and four), but this would still represent a drastic reduction for Stoke City. As we have seen, they will receive around £50 million revenue from the Premier League next season, so relegation would mean a highly damaging £34 million drop in their total revenue. They would then be in danger of not meeting their payroll, so would have to sell their better (paid) players - unless Peter Coates once again stepped up to the plate to fund the losses. We do not have to look too far to see what could happen, as this is the procedure followed by Hull City after their relegation. Of course, this then risks becoming a vicious circle, as it is more difficult to be promoted back into the top division if you sell your best players. "If the cap fits, wear it"
This is the reason behind Stoke’s repeated ventures into the transfer market. When they were promoted, they badly needed to get players in with Premier League experience in order to give themselves the best chance of avoiding relegation, but this was no easy task for many reasons. As Coates said, “One of the difficulties all promoted clubs have is the perception they will just come down again”, so it’s not easy to attract players, especially as “there’s a stigma attached to joining a club like Stoke”, according to Pulis. 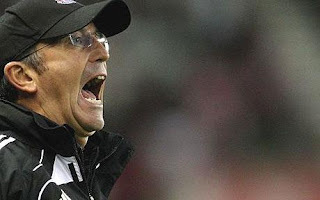 This was exacerbated by the club’s lack of expertise in the foreign market, which was amusingly the reason given by the Icelandic consortium for sacking Pulis, an accusation which the manager has since admitted is not totally inaccurate. Despite these obstacles, Stoke have shelled out over £60m in the last three seasons as a sign of their ambition. 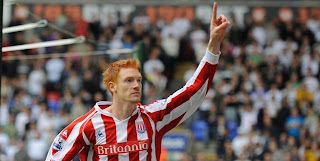 In the first summer after promotion, Stoke bought ten new players, including the £5.5 million purchase of striker Dave Kitson from Reading, which smashed their previous transfer record of £1.2 million. Ultimately, Kitson turned out to be a non-scoring failure, but other purchases have more than proved their worth like Danny Higginbotham, Abdoulaye Faye and Matthew Etherington. Over the 2009 summer period, Stoke attempted to enhance their squad, by signing several established Premier League players, most notably Robert Huth and Tuncay from Middlesbrough and Danny Collins and Dean Whitehead from Sunderland. 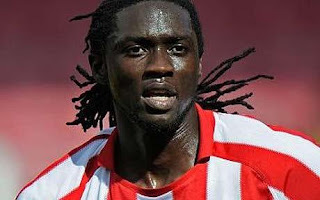 This year has seen the influx of some more expansive players, hinting at a possible modification to the fairly predictable tactics in an attempt to improve their scoring record, with the likes of Kenwyne Jones, Eidur Gudjohnsen, Jon Walters and Jermaine Pennant (on loan) all arriving at the Britannia. Even with this prudent approach, Stoke City’s spending has been relatively high, which has only been made possible through their owner/benefactor Peter Coates. His importance to the club is clearly shown by the company’s cash flow over the last two years, which would have been negative without him issuing substantial new loans (£12.1 million in 2009 and £4.6 million in 2008). While this support is better than external funding, as Coates will not be demanding his money back any time soon (if at all), there are always some concerns around the benefactor model. "Happy days for Peter Coates"
In short, the club is aiming for self-sufficiency, but still needs some help for the moment. However, if Stoke City do become a permanent fixture in the Premier League, then they should no longer have to rely on Coates to prop up transfers or the wage bill. A laudable intention, but the jury’s still out on that one, as we have seen how difficult it is for other clubs to wean themselves off their financial support. This is where the investment in new training facilities and academy might help, as Stoke City could then start to develop its own youth policy and attract young players from other clubs. The average age of the first team is currently one of the highest in the Premier League, as grizzled old professionals battle to remain in the top tier, but that could change with a focus on in-house coaching and development. However, there are still numerous challenges ahead. As their chief executive reminded fans, “If you don’t do anything, the odds are that you don’t stand still, you go backwards.” His words sounded terribly prophetic when Stoke started the new season with three straight defeats, but a comeback win against Aston Villa proved that they’re still up for the fight. Hey TSR, are you still unemployed? I reckon you should be writing for a big newspaper, because the vast majority of what you write is far better than anything I can read in any UK newspaper. Well informed, well researched, interesting and well balanced - the Redknapp article excepted but that was an excellent piece as well. That is an excellent article, one of the best I've read in fact. Couple of picky points: Stoke got promoted by drawing at home against Leicester and I wouldn't say the Icelandic reign was an unmitigated disaster - they did oversee promotion from Div 3 to Div 2 - unless you're talking purely financially in which case you know more than I do! Could you research and write something about Arsene Wenger, looking into his teams' disciplinary records and how he tries to influence the FA and referees by highlighting perceived injustices against his team? once again a very good post. - after 1 year a new 4-year contract is signed => 10m remaining is spread over 4 years leading to 2.5m yearly amortisation? I'm doing a bit of consulting at the moment, which is why I only have time to write one blog a week. Thanks for picking that up re Leicester match. I meant to write "at home to", but somehow didn't. I'll correct that. Re the Icelandic ownership, I was referring more to the financial aspects. Re Arsenal's disciplinary record, they were top of the Premier League Fair Play League last season and came 3rd the previous year. Stoke were 14th and 20th in those seasons. Your understanding is absolutely correct. Obviously it takes two to tango, so the player would also have to agree to an extended contract, which might not be forthcoming. He might also push for a salary increase to match that commitment, so the real (cash) costs would increase. you have Arsenal's net transfer spending for 2010 in the chart as £12.4m. Is that for this summer only because that doesn't sound right. Kyle Ebecilio £580k, Koscielny could rise to £9.7m and Squillaci £3.3m verified by Wenger in a presser. Eduardo £6.34m and Jay Simpson £800k. so that's a net of £6.44m. 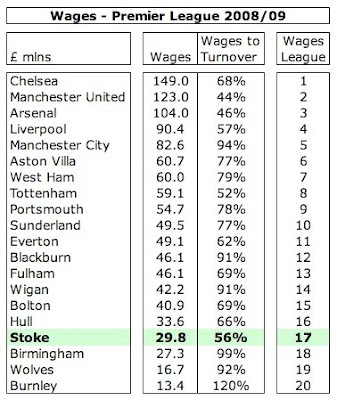 The only thing I'd point out is that Stoke's performance in 2008/09 (12th place) in relation to what they spent on wages was even better than you stated. Newcastle, Middlesbrough and West Brom were in the League that year and I believe both Newcastle and Boro had considerably larger wage bills than Stoke. I think West Brom had the lowest staff costs in the league, so Stoke finished 12th despite having the second lowest wage bill in the league. A tremendous effort. 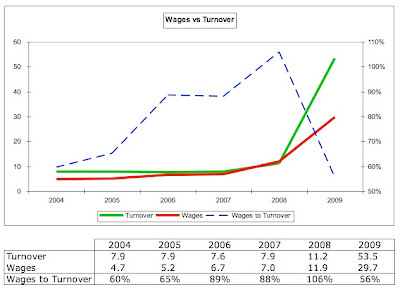 The Wolves, Birmingham and Burnley figures relate to what they spent on staff costs in the 2008/09 Championship season. Birmingham would have been in terrible financial trouble if they hadn't got promoted that year because their wage bill was ridiculously high in proportion to their turnover. They reported a £20m+ loss that year which simply wasn't sustainable. I think Wolves and Birmingham would make good future blog material but I guess you're waiting for their 2009/10 Premier League financial results to be lodged at Companies House before looking at those two clubs. I'd also be interested in your views on the amount of debt that Premier League clubs are supposedly in and your general thoughts on the way those clubs are run. In my opinion the overall debt numbers have been grossly exaggerated by the media. The £3bn figure that gets touted around is absurd because so much of it (over half) is made up of 'very soft' interest free loans from the owners of those clubs. The fact is that the vast majority of Premier League clubs either have sustainable business models or have excellent owners (likes Coates at Stoke) who cover losses. There are exceptions of course, notably the Portsmouth fiasco and the situation at Liverpool but I think it's unfair that all the clubs get tarred with the same brush when so many of them really don't deserve it. - after 1 year, the renegotiated contract is a 4-year contract with a salary of 5m in the first 2 years and a salary of 1 euro for the last 2 years and a gentlemen's agreement that the player will actually be sold/released after 2 seasons. I realise this is quite an extreme example and the player would take some risk in binding himself on a longer contract for nothing, I would imagine that a "golden handshake" type of agreement could also be included. And as the football world is quite small, if the club would breach the gentlemen's agreement, I would imagine everybody will find out and it would be impossible for them to sign other players in such circumstances (and we also know that the performances of a player kept against his wishes at a club are not really up to standard, so the club would gain nothing anyway from keeping him). Incredible article (and that is said in a positive way). Wonder how much study it required and what were the sources. An extremely well researched article with many astute observations which almost suggests you have had some inside information. It was a really enjoyable read. Good fortune and luck and timing of course as well as sound financial management have also been factors in Stoke's progress. Yet as you will have picked up in some earlier comments our sensitivites are enraged at times by the continued rantings of a certain French person with a London outfit whose arrogant and poisonous comments are intended to humiliate others and to influence the performance of officals in matches in his favour. Of course all managers will do this but not to the extent of this particular individual who has no understanding or interest in the real culture of English football. if stoke and pulis represent "the real culture of English football", it's no wonder the England national team is a running joke. The quality of writing here remains a shining beacon amounst the (largely) ill-informed, ill-researced subjective nonsense that predominates in the blog world of football. Its simply brilliant stuff mate! You need to get copy posted to the broadhseets- Im sure The Times would run this this stuff in the Game (whatever your politics). I'm sure that your figures are more accurate for Arsenal. I took mine from transfermarkt just to illustrate the point that Stoke had spent more than most other Premier League clubs, which I found surprising. You're absolutely right about the salaries for Wolves, Birmingham and Burnley. As you say, I would need the next set of their accounts for a relevant analysis. I partially agree with your point on the amount of "soft" debt, but I'm also a bit cautious about the benefactor model. This works fine unless the benefactor leaves for whatever reason. Sure, he might have already written-off previous loans, but it then presents a difficult challenge going forward (unless another benefactor steps in). Absolutely top read, very well researched and very factual. I shall be reading your Blogs each week from now on. Very good piece, as you'll know by now. I read your Celtic article the other week, which introduced me to the blog, and now you've written about both my teams. I am sure you're not short of things to do, but on the off chance ... something comparative would be very interesting: either comparing a handful of top-tier clubs across Europe or, more difficult but more interesting, looking at EPL versus MLB or NFL. On the matter of Stoke, I'd be very interested your opinion on the club's value on the open market. I am not at all optimistic about the Coates family carrying on in father's footsteps. I think both son and daughter remember and do not forgive the hounding of their father that preceded and even followed the sale to the Icelanders. I would be astonished if they were to turn away a serious buyer. Of course, we are a relatively little club, and not at all fashionable, but this season, as usual, there are seven or eight 'small' clubs in the Premier League, based in unattractive, unprosperous, football-loving towns - a sizeable fraction of the top twenty. All the international investors seem to be only interested in big-city outfits: does this mean the Coates family could never get back their investment? Another Stokie here to congratulate you on an excellent article. I learnt more about my club in the 15 minutes it took me to read and absorb the piece than I have in 40 years of supporting them. A previous poster makes an interesting point - will Denise and John Coates take up the mantle when "Sir" Peter knocks on the pearly gates? The catalyst for the end of PC's previous reign was a 0-7 home defeat to Birminhgam followed by a very nasty pitch invasion. Several hundred of our more "passionate" fans tried to climb into the directors box to get at him - I've heard many stories about that day but the general consensus is that he was locked away somehwere in the ground in fear of his life. He was despised at the time by many Stoke fans, the perception being that he had furthered his own business career (Stadia Catering) at the expense of our once proud club. We were a shambles and heading for relegation to League One for the second time in a few years under his stewardship. Its highly likely (despite recent public utterances) that his kids have never forgotten that day and who can blame them? 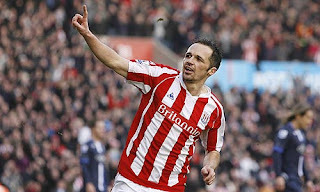 To his credit, it didnt seem to bother him even though he was by no means universally accepted by Stokies when he came back for more in 2006. What he has done since then is magnificent and he is now regularly referred to as "Sir" or "Saint" Peter. Even if he doesnt, he has become a hero to many Stokies and will always be remebered as the man who gave us back our pride - and that doesnt appear on any balance sheet. Great article as always Swiss!! Keep it up and it´s interesting reading about smaller clubs and not just the top clubs around Europe. For example, a club buys a player for 10 million pounds on a 5-year deal. The club pays the 10 million to the selling club, but instead of his transfer fee being reflected in the books right away, there will be 2 million pounds amortisation each year during his 5-year contract. But the player gets sold after 2 years. That means his amortisation was only 4 million during his stint at the club leaving 6 million still unreflected in the books. In this situation the club still has to amortise the 6 mllion for 3 years? He's not at the club anymore, but still featured in the accounts? In the example you gave the remaining amortisation of 6m would be booked as part of the sale, taking the player off the accounts. So, let's assume that the player was sold for 9m, this would be shown in the accounts as a profit on sale of 3m, which is equal to 9m sales proceeds less the 6m net book value (or remaining amortisation. Swiss Rambler, Im working on my senior thesis and was wondering if there's an email address I can contact you at directly.. I have a few simple questions.. Thanks for your time. Stumbled onto your blog a couple of weeks ago and have been catching up on your archives. Others have mentioned that it's way better than what most outlets publish (Twitter feeds from the players aren't news... they are twitter feeds). I'd love it if you ramble on a bit about the mexican footy league, but that may just be me. quick question when is the next article appearing im an addict for your excellent blogs..
Having said that, they are just about to issue the 2010 accounts, so I hope to write something about them very soon. You will be happy to hear that I should publish a new blog today. Just for information, I usually look up transfer figures on http://www.transferleague.co.uk (that is when the site is not saturated). Investment into maximising and increasing the clubs fan base should remain one of the clubs long-term priorities. Not only would it contribute towards that aim for the club to become self-sufficient financially, but also improve further the perception/image of the club in media, players, business circles which then (hopefully) should feed-back to further enhance the clubs continued progression.